A Grundy County, Tenn., man convicted of murder in 2007 says there's new information in his case that could set him free, according to new court filings. Adam Clyde Braseel, 34, now serving a life sentence at the state prison in Bledsoe County, wants a new trial. On Nov. 7, 2007, he was convicted of first-degree murder, felony murder, especially aggravated robbery, attempt to commit first-degree murder, aggravated assault and assault in the shooting death of 60-year-old Malcolm Burrows and an assault on Burrows' sister, Rebecca Hill, court records show. Hill has since died. Braseel was freed in December 2015 after his conviction was reversed, but jailed again after that ruling also was reversed by the Tennessee Court of Appeals. 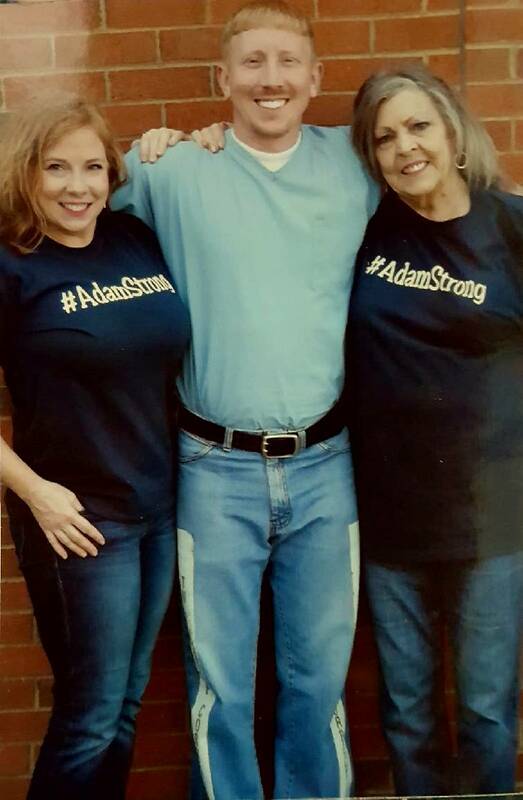 From left, Christina Braseel, Adam Braseel and Imojean Braseel-Davis embrace during a visit at the Bledsoe County Correctional Complex, west of Pikeville, Tenn.
Adam Clyde Braseel in a recent photo provided by the family. Now Braseel has a habeas corpus petition in federal court in Winchester, Tenn., and a newly filed writ of error coram nobis in Grundy County Circuit Court. Both seek judicial review of information Braseel contends wasn't part of evidence or testimony jurors heard 10 years ago. If the review is granted, officials said, the Tennessee attorney general's office would represent the prosecution at the federal level. Habeas corpus is a writ ordering a person in custody to be brought before a court. It requires those who are detaining the person to justify the detention. Braseel's federal petition is filed against Darren Suttles, the warden at Bledsoe County Correctional Complex. 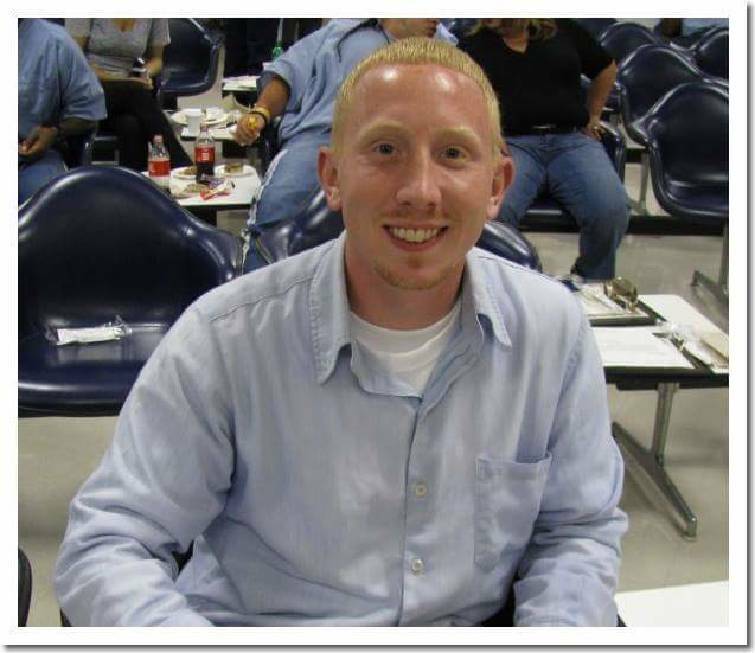 That filing contends evidence that mistakenly was never introduced at trial would show the wrong man was convicted of Burrows' January 2006 slaying. It contains Braseel's version of facts and describes information he says could have led jurors to conclude someone else killed Burrows. It also says jurors in 2007 never heard testimony from Sgt. Mike Brown, of the Grundy County Sheriff's Office, who said he saw Burrows' wallet in the dead man's pocket. That contradicts previous testimony that the wallet was missing and contained $800 in cash. The motive in the case was robbery, according to documents. Braseel also says there was contradictory state witness testimony, flaws at trial in eyewitness identification by Hill, and no testimony from alibi witnesses who could have placed Braseel elsewhere when the crime was committed. The habeas corpus petition also asserts one juror never reached a determination of guilt and was intimidated by the jury foreman to "rely on theories not supported by the evidence." "They were told to find Mr. Braseel guilty despite their belief in his innocence," records state. The petition echoes claims in Braseel's state appeal that his lawyers didn't effectively defend him in the 2007 trial. The writ of error coram nobis ("in our presence, before us," in Latin), asks a judge to reopen and reconsider a matter that has already been decided on grounds that the original decision was based on a mistake of fact that can now be rectified, according to the Legal Information Institute at Cornell Law School. Braseel presents the same arguments as in the habeas corpus petition, including the lack of Brown's testimony about the wallet, contradictory state testimony, and no alibi witness testimony. He also raises the issue of the juror who said he didn't reach a determination of guilt and felt intimidated by the jury foreman. In response, state prosecutors have filed motions asking 12th Judicial District Circuit Court Judge Justin Angel to dismiss the defense petition and recuse himself. Angel was the judge who granted Braseel a new trial in 2015, only to have his ruling reversed on appeal. The state's recusal motion says Angel should step aside "to avoid the appearance of impropriety." Assistant District Attorney Steve Strain says in the motion that Burrows' family "has grave concerns regarding the court's impartiality." "The state is not saying the court is biased in any manner, or did anything improper in its ruling or handling of the case," Strain states. The state "would show that the court [Angel] made findings which were not supported by the record and in sending out the opinion granting the new trial on Christmas Day and subsequent actions give rise to the appearance of impropriety." Grundy County Circuit Court officials said last week no hearing date has been set in the state filing. The federal court has not ruled on the habeas corpus petition. Burrows was found dead Jan. 7, 2006, beside his vehicle about 200 yards from his home on Mellisa Rock Road in Tracy City. Hill had been beaten and had severe head wounds. Braseel, then 22, turned himself in at the Grundy County Sheriff's Office. State court records show a 2011 appeal was denied but the case was revisited in November 2015, and Braseel's attorney convinced Angel his client should get a new trial. Angel ruled that "there is no other evidence [linking Braseel] to the crimes except the identification by Rebecca Hill and Kirk Braden," and said the defense should have challenged that evidence. Braseel's family was jubilant in Angel's ruling, handed down on Christmas Day 2015, but prosecutors appealed to the Tennessee Court of Criminal Appeals, which reversed the ruling and put Braseel back in prison. Braseel's petition to the Tennessee Supreme Court for a review of the case was denied in February. Contact staff writer Ben Benton at bbenton@timesfreepress.com or 423-757-6569. Follow him on Twitter @BenBenton. State's Motion to Recuse Judge. Contains additional supporting court documents.